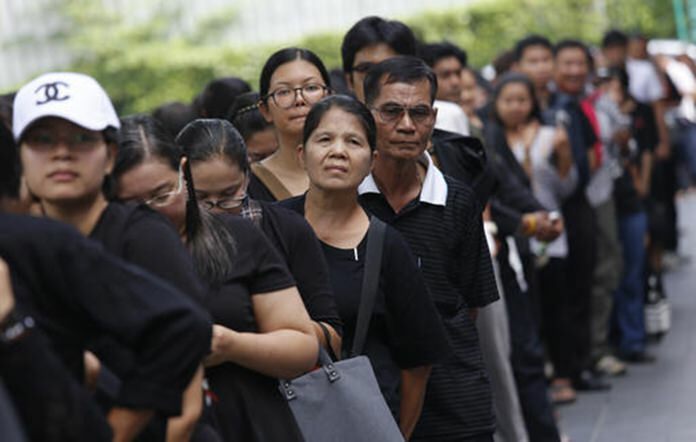 BANGKOK (AP) — Thais have waited patiently in long queues to secure special commemorative 100 baht currency notes in honor of the late King Bhumibol Adulyadej. The note was released five years ago by the Bank of Thailand, but there is renewed interest in it after the King’s passing on Oct. 13. 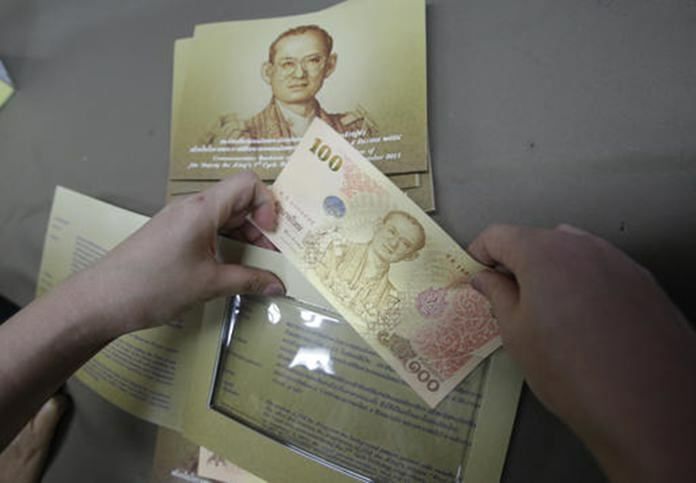 People began lining up early Tuesday morning at banks around the country to purchase the note, which was available for twice its face value at 200 baht ($5.71). The banknote features images of the HM the King visiting Thai people, planting grass and playing the saxophone. It is printed with metallic gold ink, instead of the red in the regular 100 baht bill.